For those who don't own a Samsung smartphone but have always wanted a feel of the awesome Samsung stock browser, now you can do that as Samsung has now made their Internet browser available for all. 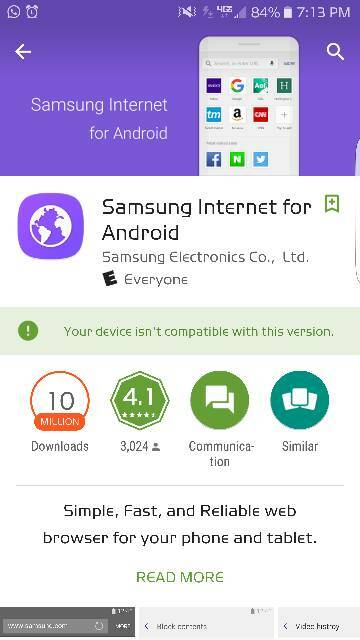 The official Samsung internet browser v6.2 is currently available on playstore for all devices but it's still in beta stage which means you might encounter some bugs as it's not yet stable. The Samsung internet browser is simple, light and also very fast. So if you want to try out the Samsung internet browser on your phone, just head over to playstore and download it. Note that it only works on Android 5.0 lollipop and above.